It has been 5 years since I wrote the blog post I titled Ringing on this blog that I started in order to talk about the great miracle known as my son Teak. It was a vent post due to the fact that my strong willed red-headed baby boy never kept his hearing aids in his ears. When he was angry, he would throw them. Then it was always fun getting on hands and knees trying to find them. He would just plainly take them out of his ears and put them on the floor, etc. You see, it wasn't just the frustrations of trying to keep them in his ears but when we were told that he had Spina Bifida, we had several months to get used to the fact. And the fact that he heard things enough that he didn't realize that he needed them. When we were told about his ears, it was very sudden and we were still working on figuring out how SB had effected his life so it was hard to accept at first. He finally started wearing them non-stop when he turned 3 years old. It just clicked and now he even asks for them. He has some speech delays that may or may not have been because he didn't wear the hearing aids "at all waking hours." The other reason could have be developmental because the speech therapists have stated his speech doesn't coincide with the delays. Who knows...what we do know is that he has improved so much over the last couple years. He is now thriving in a general ed kindergarten class. 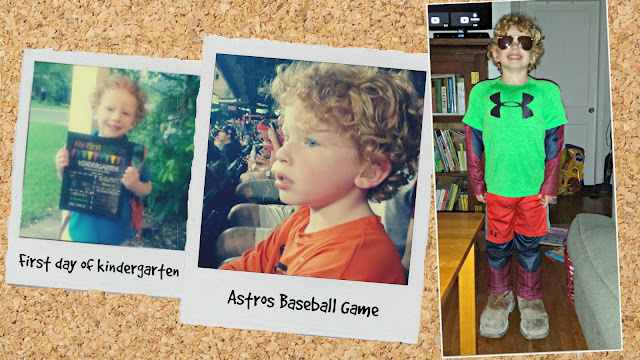 And because of his hearing aids, he went to a specialized preschool with a small class before he was 2 years old and until he moved on to kindergarten. All in all, Teak is full of character and spirit. He has an open heart and doesn't judge. I want him to show others that we are all different and being different is what makes this world great.